Kaci Fennell won the Hyundai Miss Universe Jamaica 2014 title on Saturday at the Karl Hendrickson Auditorium, Jamaica College in St Andrew. A popular winner, the 21-year-old Mico University College student was selected over 18 other competitors. “It has been tiring but I put my all into this. I really worked hard towards this title and now I am completely elated,” Fennellsaid shortly after being crowned. She said the achievements of former Miss Jamaica and Miss Jamaica Universe Sandra Foster inspired her to enter the pageant. “I remember my mom was always talking about Sandra Foster and then I asked her to show me a photograph of her. Afterwards, I decided that I wanted to enter a pageant, but the time happened to be now,” said Fennell. Nineteen-year-old Roshelle McKinley, niece of former Miss Jamaica World contestant, Bernadette McKinley, who finished third in the 1978 pageant finished second. Commercial pilot Kimar Muir was third with fourth and fifth places being taken by Saneta Kerr and Dianne Brown, respectively. Fennell won a cash prize of $250,000, a Hyundai i10 car courtesy of title sponsors Key Motors. 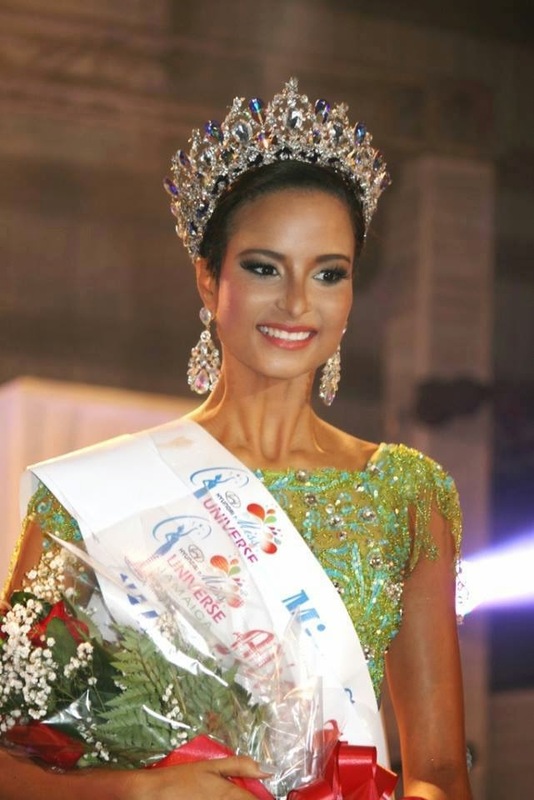 She will represent Jamaica at the Miss Universe 2014 pageant, scheduled for later this year.